A few days ago, on the weekend of the 21st and 22nd of july you could see something very ridiculous on the water. A Mini Cooper. Yes, the car. 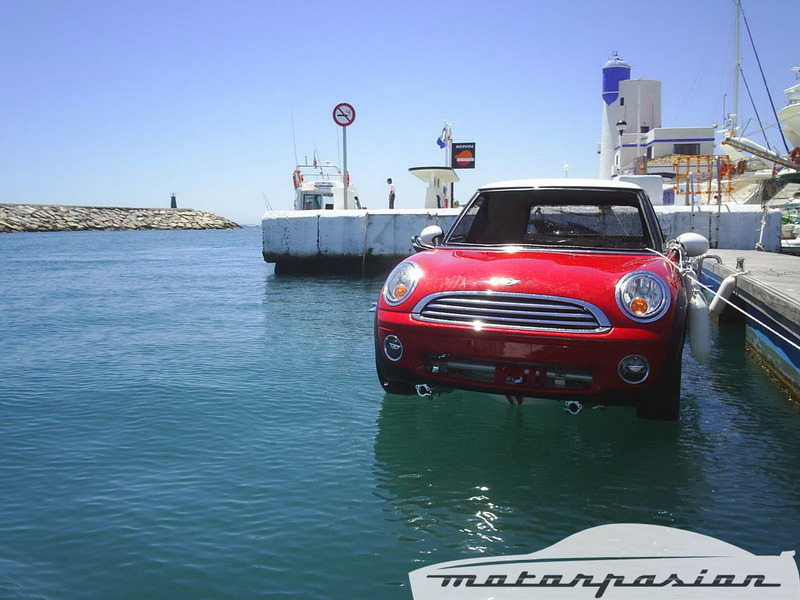 It is a kind of advertising or publicity for Mini. So they took a big Jetski and put the car body of a Mini Cooper on top of it. 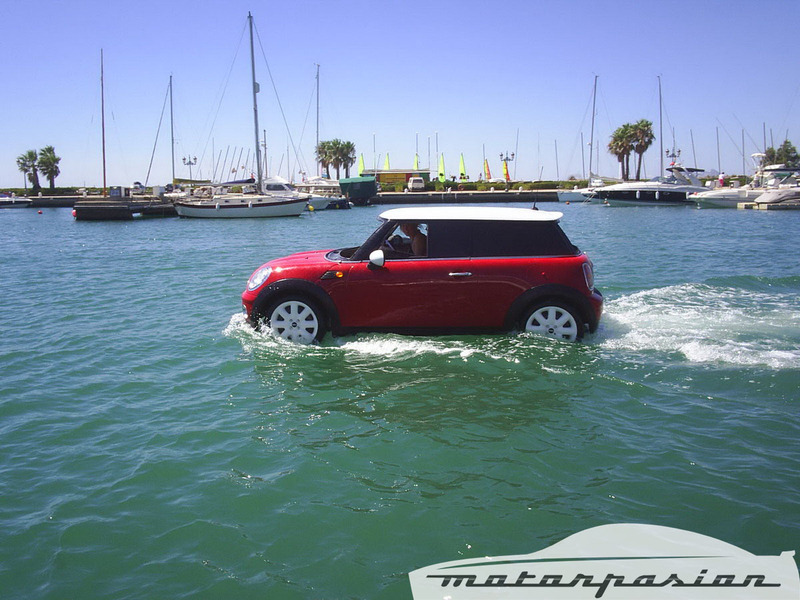 So it looks like there is a Mini driving on water. I found this photos on the spanish blog motorpasion.com because I havn´t taken any photos by myself. The first photo is taken in the port of Sotogrande (Cádiz), driving around. The second and third are in the port of La Duquesa (Málaga). I have read on another blog that this car is driving along the coast until the end of august. So maybe you can see in some other ports or on the beach. I live on the Costa del Sol since 2006. Mainly I am in Marbella or Nerja, so I write about everyting I think is interesting for expats like me. 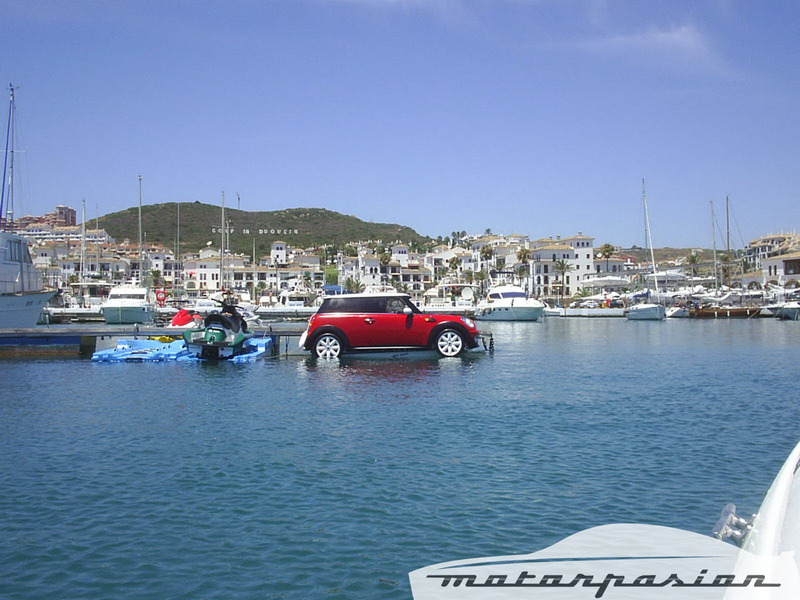 Great picture – I bet that caused an upset amongst some of the yachting fraternity in Sotogrande!